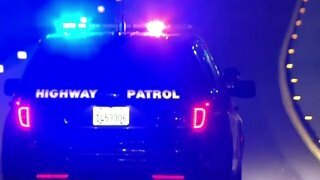 The California Highway Patrol has enlisted the public’s help in finding a hit-and-run driver accused of causing a deadly crash two weeks ago. Officers have released a picture that shows part of the offending car’s California license plate. The first four characters read 4AYY, but the other three spaces are blank. The suspect was driving a light brown 2000 Toyota Sienna van and clipped a Toyota Scion on Highway 101 just south of Woodside Road, officers said. The accident caused the Scion driver to lose control and crash. The victim died but the suspect never stopped, officers said.